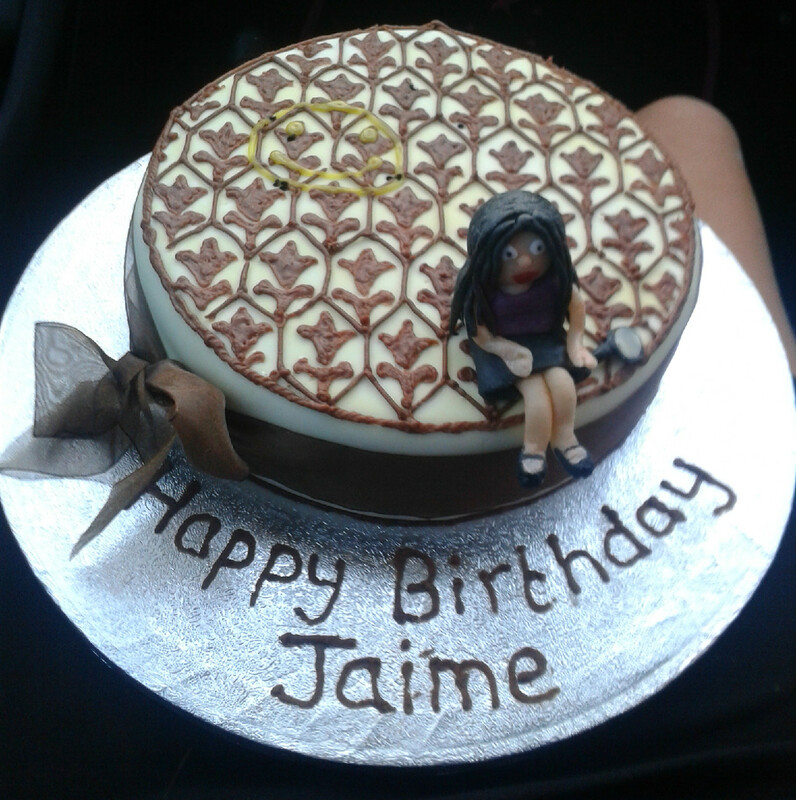 The handmade candles really make this amazing Sherlock cake by DeviantArtist Alan the Robot. You can see more pictures of it on his Tumblr. 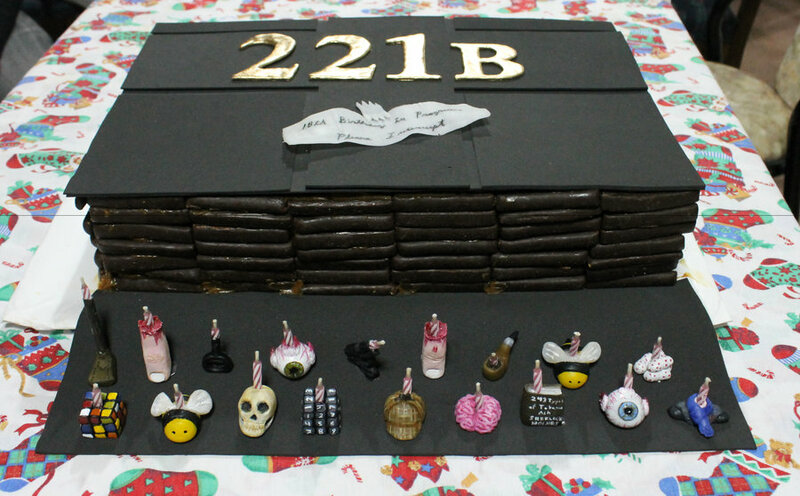 I love the 3-Dimensionality of this Sherlock cake by Nom Cakes. Visit her site to check out her adorable mini Sherlock, not to mention admire the detail she put into every side. 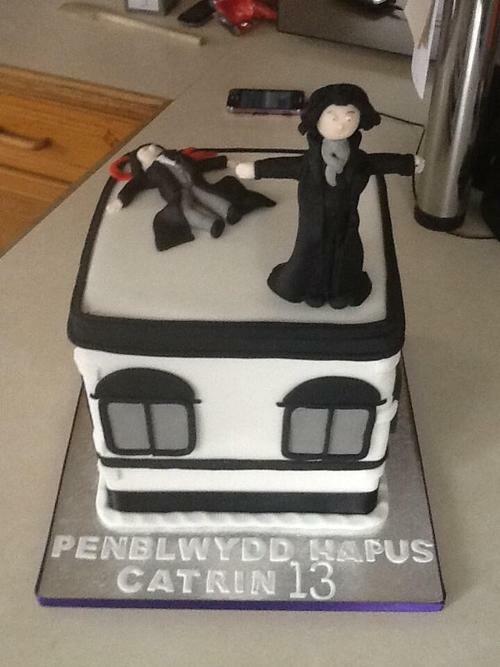 If the rest of Jamie’s 13th birthday was half as good as her cake, then she must’ve been happier than Molly when Sherlock said he needed her. Nothing says “celebrate another year of life!” like an edible rendition of public suicide. 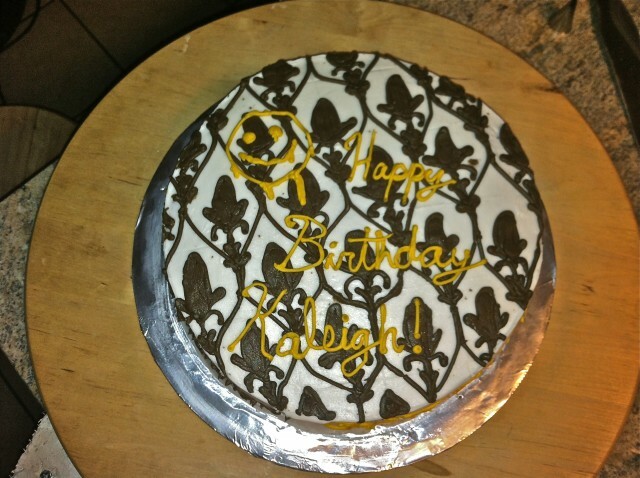 Despite that, the cake is almost as cute as Mr. Otter Face himself. Via Sherlockology. 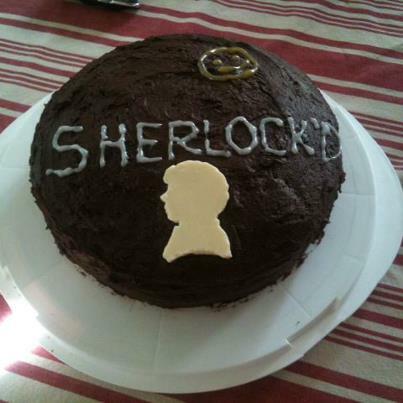 This home made Sherlock cake does a good job combining simple but iconic images from the show. 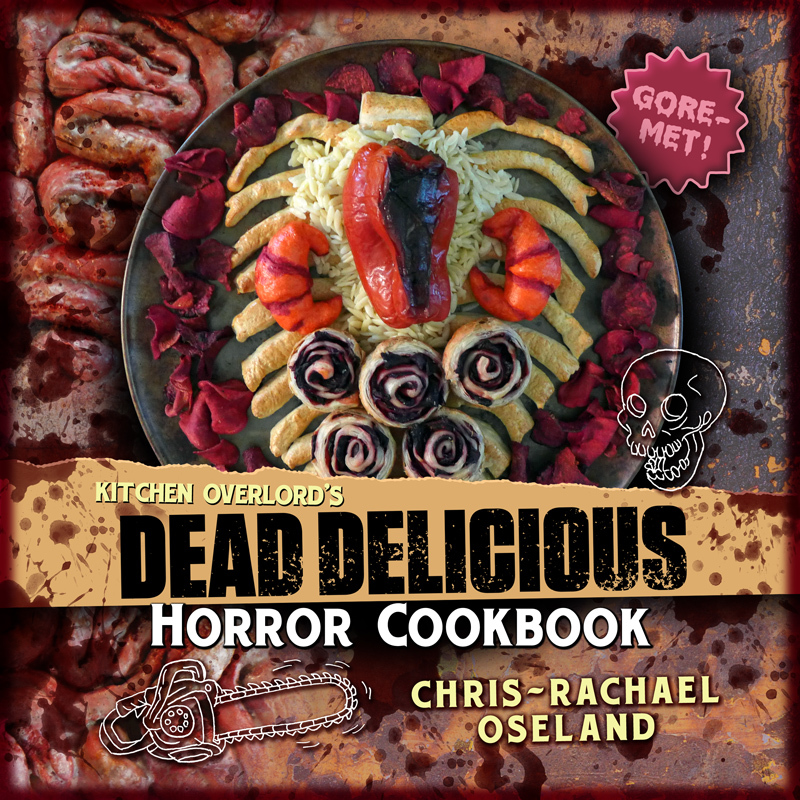 It also looks darn tasty. Via The Final Problem. 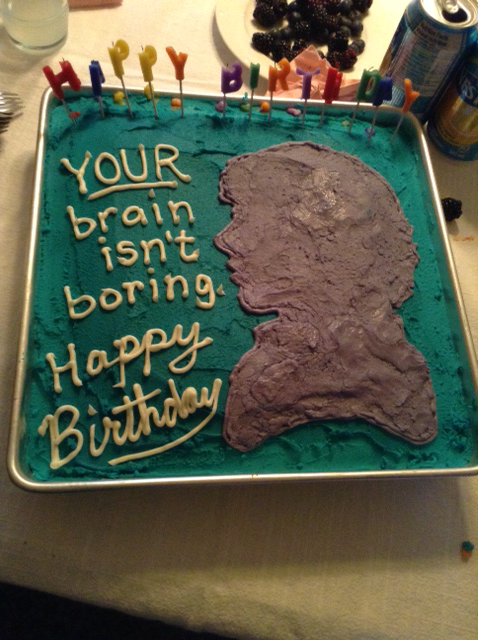 I wonder how Benedict Cumberbatch feels about so many birthday girls sticking their tongues into renditions of his face? 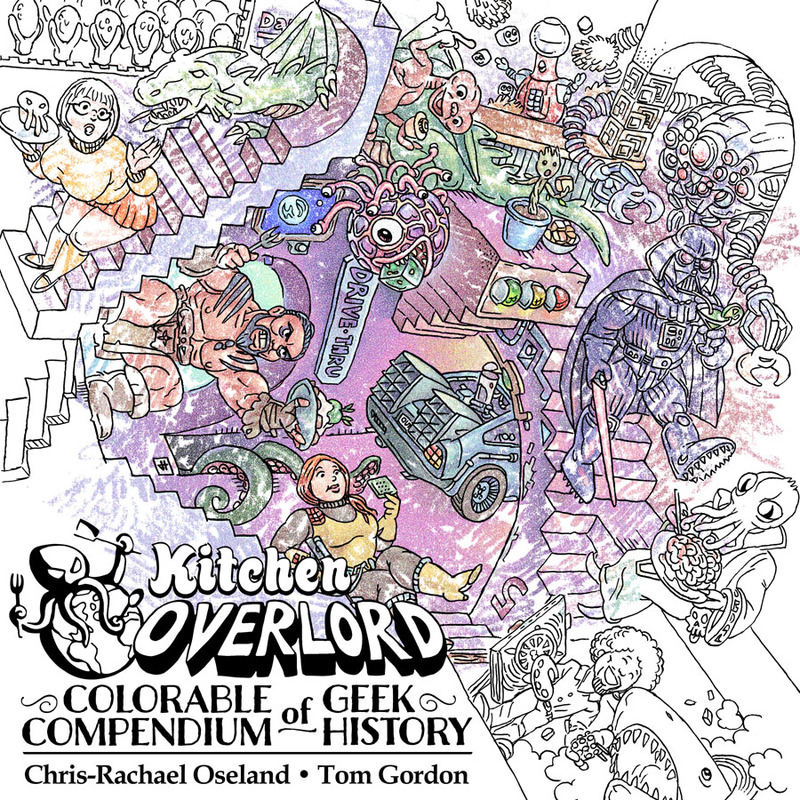 This well done iteration came from DeviantArtist AppleBarrel. It seems 18 is a very special year in a fan’s life. 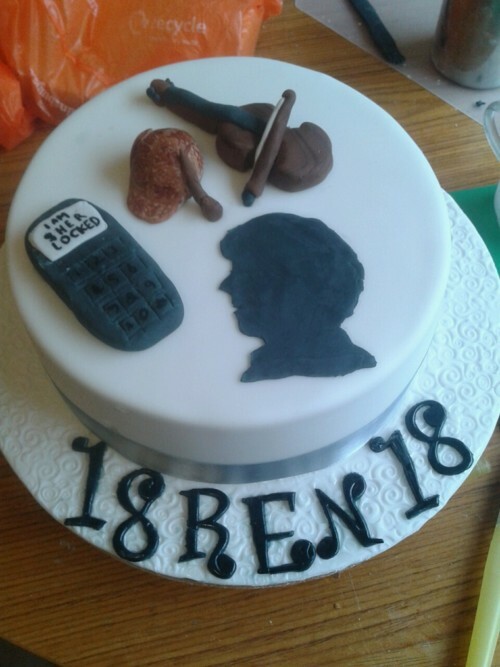 You’re old enough to vote, old enough to serve in the military, and old enough to get your very own Sherlock cake. Via Sherlock Crafts. 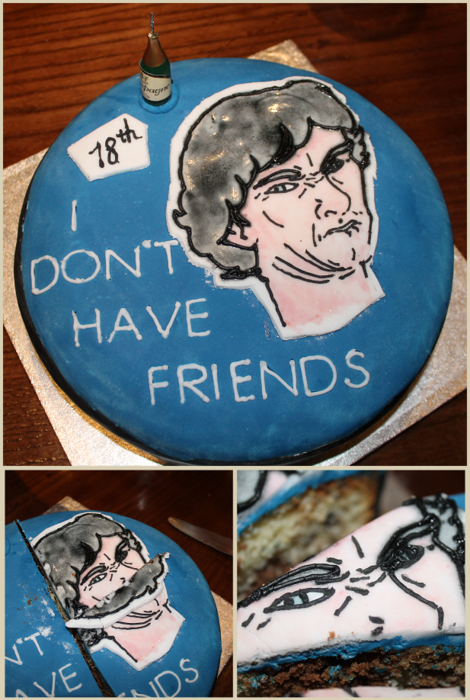 You may not have friends, but DeviantArtist chimera-99 was willing to draw an angry Benedict Cumberbatch on your birthday cake. Maybe it’s poison? 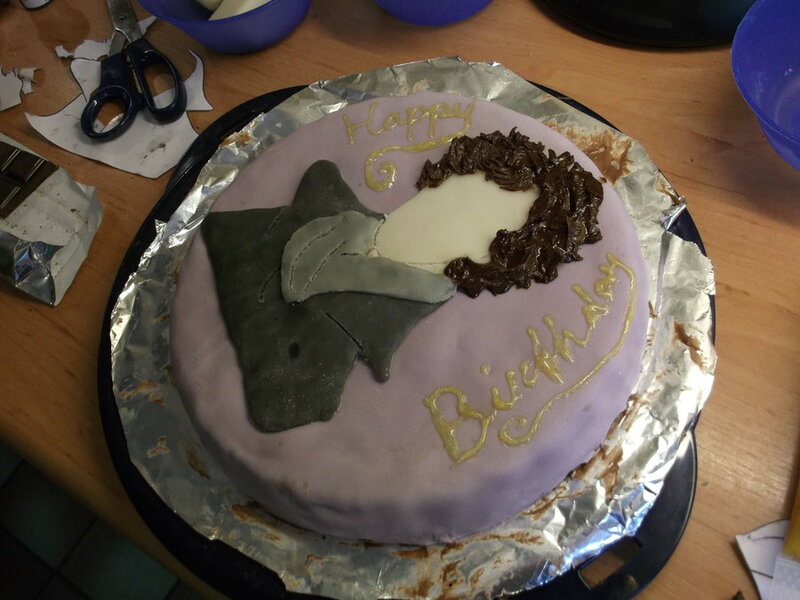 Another birthday, another lickably delicious home made profile of Sherlock in cake. There’s something charming about drawing all that fleur de lis wallpaper by hand then scrawling over it in yellow, Sherlock style. Visit Avent’s Garden to see the extra writing along the sides. These cakes look too good to eat. 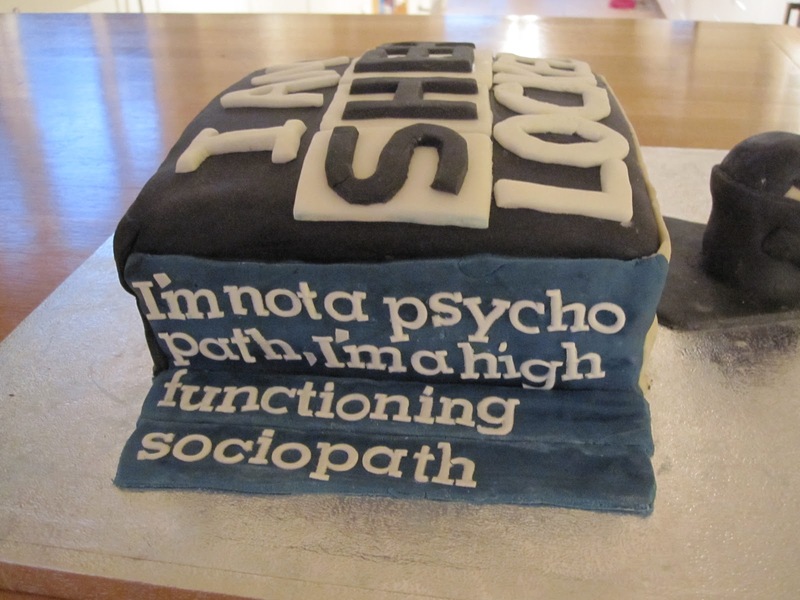 I’m not a psychopath is my favorite. Or maybe I just relate!